The 2017 Toyota Land Cruiser is set to become a staple of outdoor adventure all across Santa Ana, Culver City, and the world beyond. Like its legendary predecessors, which have jointly set the standard for confident off-road performance for over 60 years, this is a vehicle that is able to push beyond limits and handle tougher tasks without missing a beat. Toyota has even doubled down on the Land Cruiser’s dominance by including luxurious interior fittings and features. 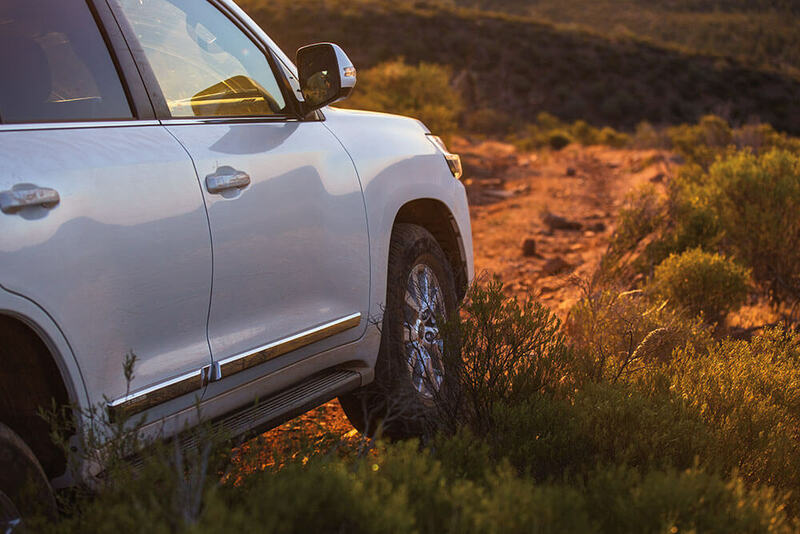 Melding exceptional comfort with incredible capability, the Land Cruiser stands apart from the competition. 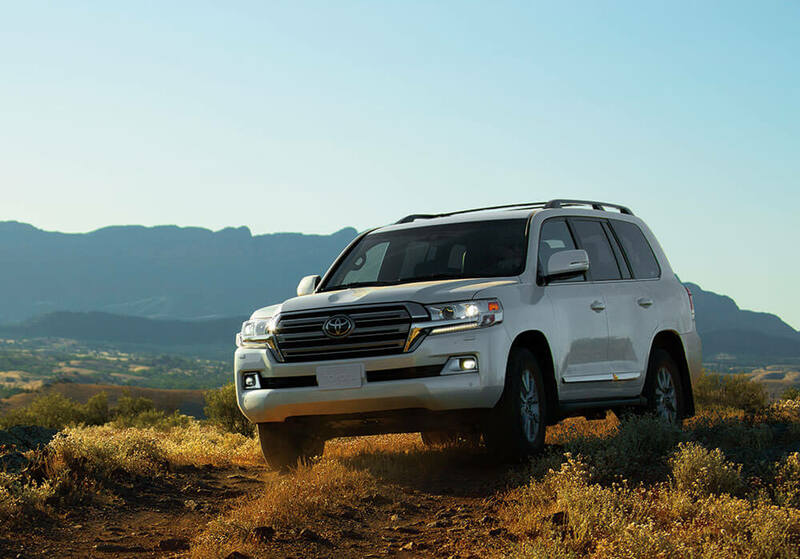 Most vehicles offer drivers a range of trim levels to choose from, but the Land Cruiser is not most vehicles. 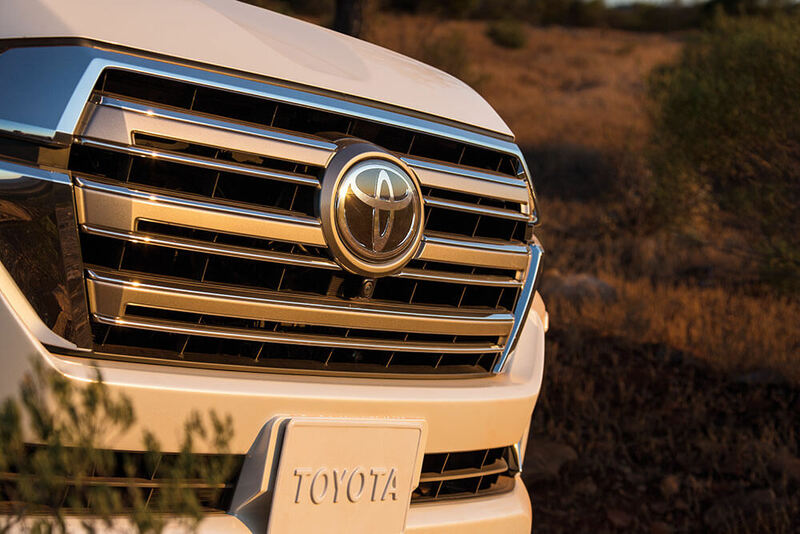 Toyota understands that people are driven to buy the Land Cruiser for its luxury fittings, high-end technologies, and iconic off-road prowess. Accepting anything less would go against the uncompromising ethos that defines the Land Cruiser line. Fittingly, there’s only one trim level, and it’s equipped with nearly anything you could want. 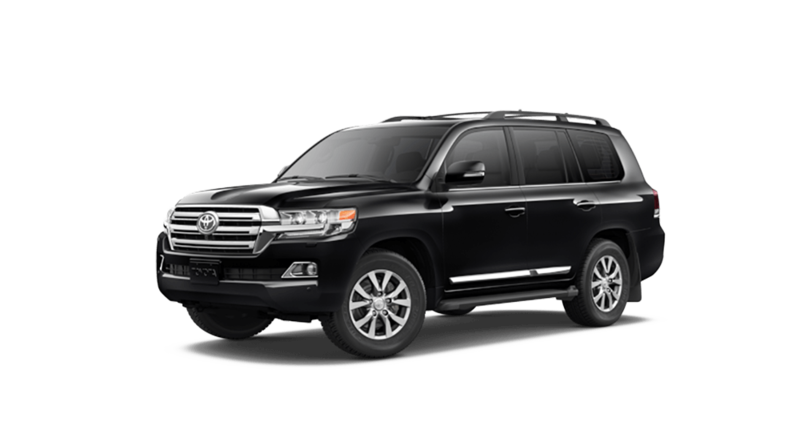 Few drivers would expect the 2017 Toyota Land Cruiser to pack anything less than serious firepower beneath its bold and muscular exterior lines. Checking under the hood will not leave you disappointed; at the heart of the vehicle sits a 5.7L Double Overhead Cam (DOHC) 32-valve V8 that is able to harness up to 381 hp and 401 lb-ft of torque. It’s no surprise that the Land Cruiser is able to tow up to a staggering 8,100 pounds. Dual Independent Variable Valve Timing with intelligence (VVT-i) and an Acoustic Control Induction (ACIS) system combine to ensure optimized power throughout the rpm range, and your output is artfully refined by an all-new 8-speed Electronically Controlled Automatic Transmission with intelligence (ECT-i). The Land Cruiser’s ability to fuse rough-and-ready backcountry chops with a plush, spacious interior is an integral part of its appeal, and that combination has continued with the 2017 model. Up to 43 cubic feet with the third row folded. Up to 81.7 cubic feet with the second row folded. 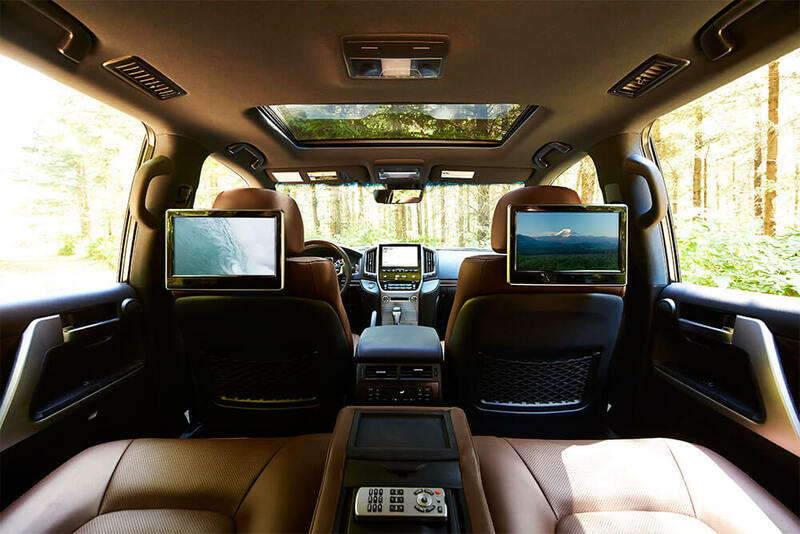 Multi-Terrain Monitor: Cameras mounted to the front, rear, and sides of the Land Cruiser can provide a view around any part of the vehicle on your in-dash display, making it less taxing than ever to cross rough, uneven terrain. 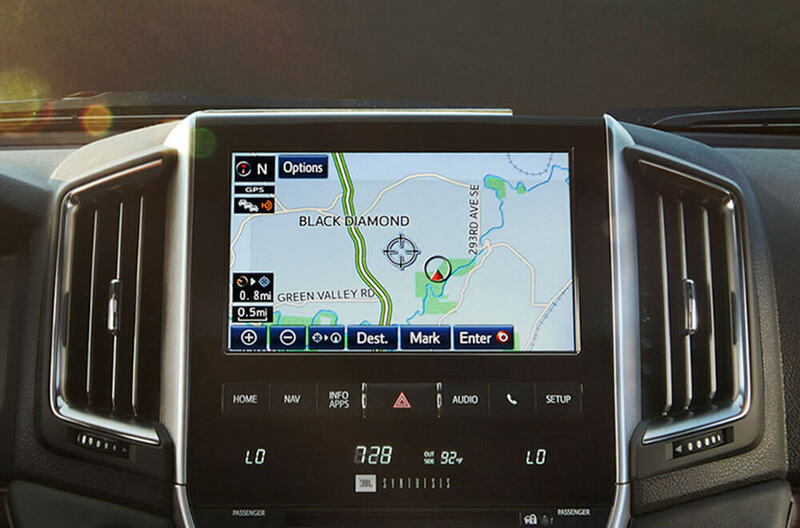 Entune App Suite: The Land Cruiser is able to bring your favorite smartphone apps to your drive. Just sync your smartphone and then transfer them across. DVD Entertainment System: Keep the kids in the rear occupied by putting TV shows, movies, or even video games onto the two 11.6-inch screens placed behind your driver and front passenger seats. The Land Cruiser comes with the Star Safety System as standard, supplying the following active protection devices: Vehicle Stability Control (VSC), Active Traction Control (A-TRAC), Multi-terrain 4-wheel Anti-Lock Brake System (ABS), Electronic Brake-force Distribution (EBD), Brake Assist (BA), and Smart Stop Technology (SST). The Land Cruiser remains a standout vehicle with little need to worry about the competition. If you’d like to find out more, look inside, or take a test drive near Santa Ana and Culver City, just come to Marina del Rey Toyota today.